The work also puts me in mind of the pregnant chairs of Nina Saunders (which I’ve written about before) though the intimacy of scale and the fleshy pink of Jürgenssen’s piece is very different. In terms of colour and the oddity of the object, the work also puts me in mind somewhat of Sarah Lucas’s use of tights as a material for sculpture (though this is admittedly in part because I’ve just seen one such work at the Sadie Coles HQ stand at Frieze). 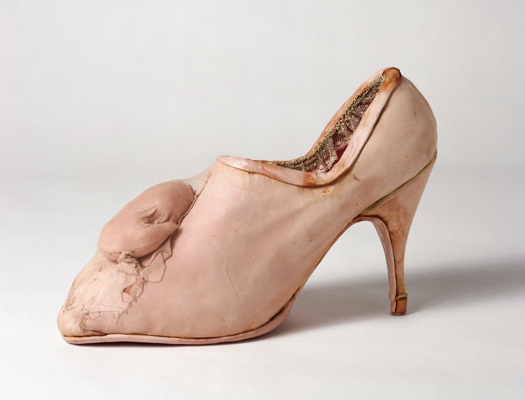 Though Jürgenssen’s Pregnancy Shoe is clearly wearable, it doesn’t look at all comfortable and the pointy toe and stiletto heel both suggest a different female role to the shoe’s pregnant belly. 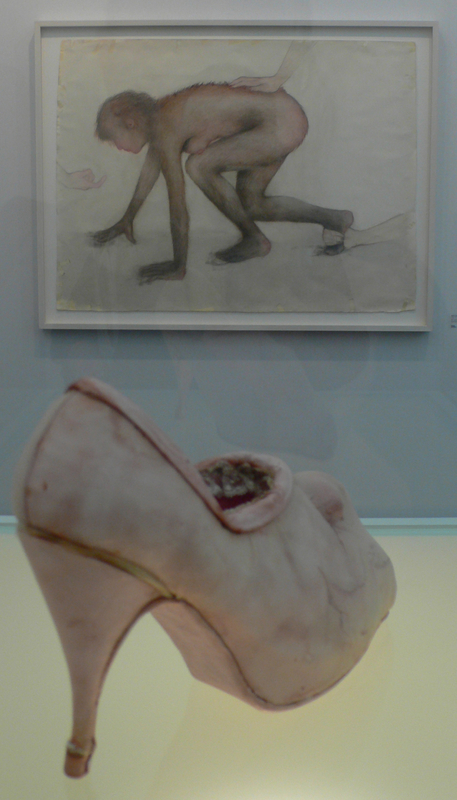 Arguably, the shoe explores the objectification of women and the madonna/whore dichotomy. And, on a shallower level, but then, you know, we’re talking shoes, it’s just a really beautiful object. 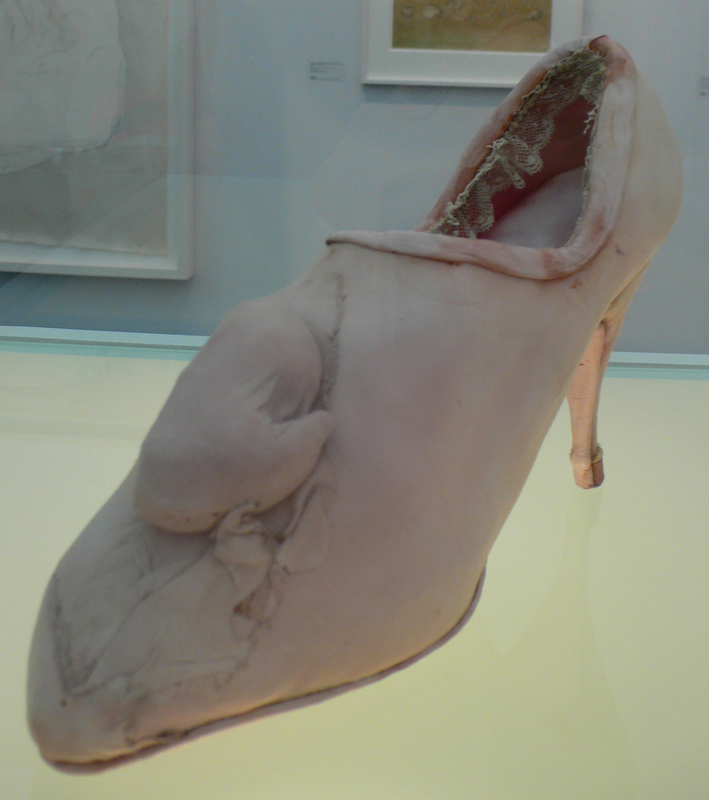 This entry was posted in Art fairs, Feminism, Sculpture and tagged art, Birgit Jürgenssen, feminism, Frieze, Frieze Art Fair, Frieze London, Frieze Masters, Pregnancy Shoe, pregnant show, Schwangerer Schuh, sculpture, Spotlight by Ann Jones. Bookmark the permalink. Wow – from 1976 – it feels a lot fresher, more contemporary. Didn’t know her work.